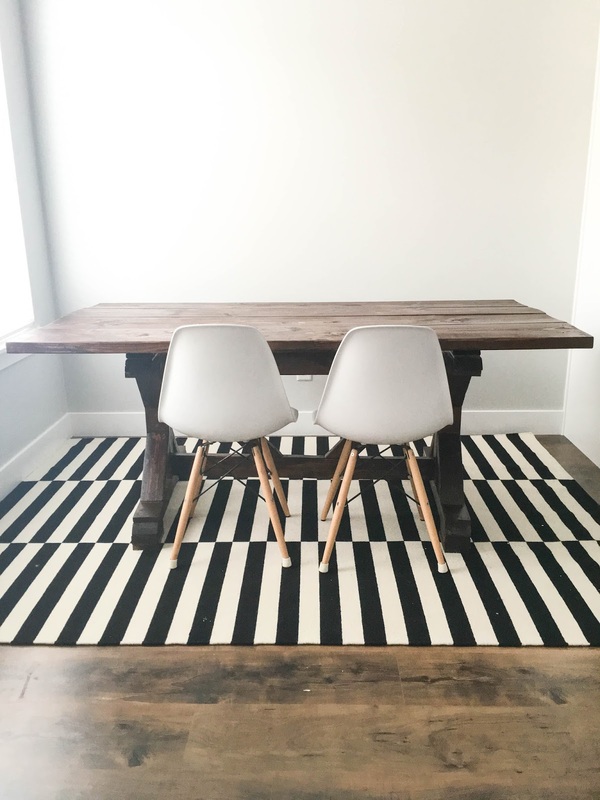 As we were planning on moving into our townhouse a few months ago I started to think of what I wanted in our living room, dining room, bedroom etc...I came across Desert Wood Works and instantly fell in love with their work. We talked back and forth and they presented this table as an idea. I loved it immediately! They began crafting. We got to pick the size and stain. 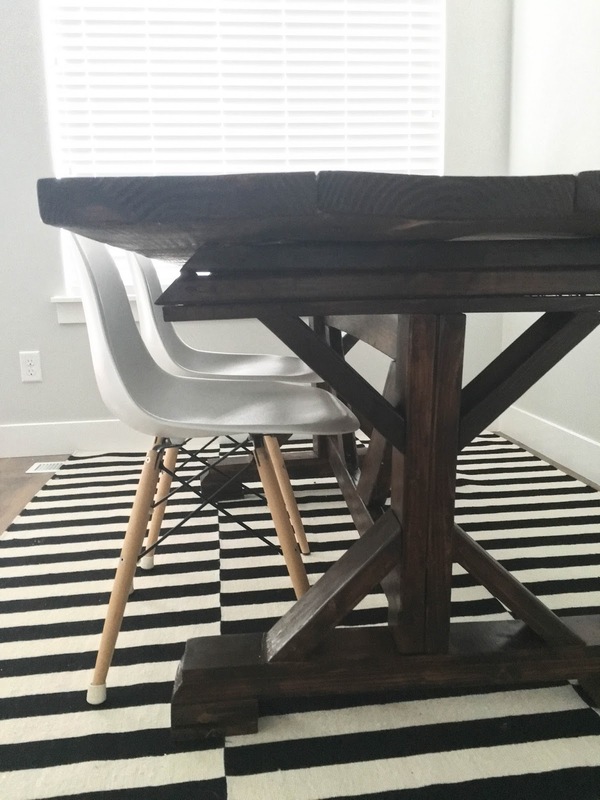 It was so fun to work with them and know that this table was being made just for us! 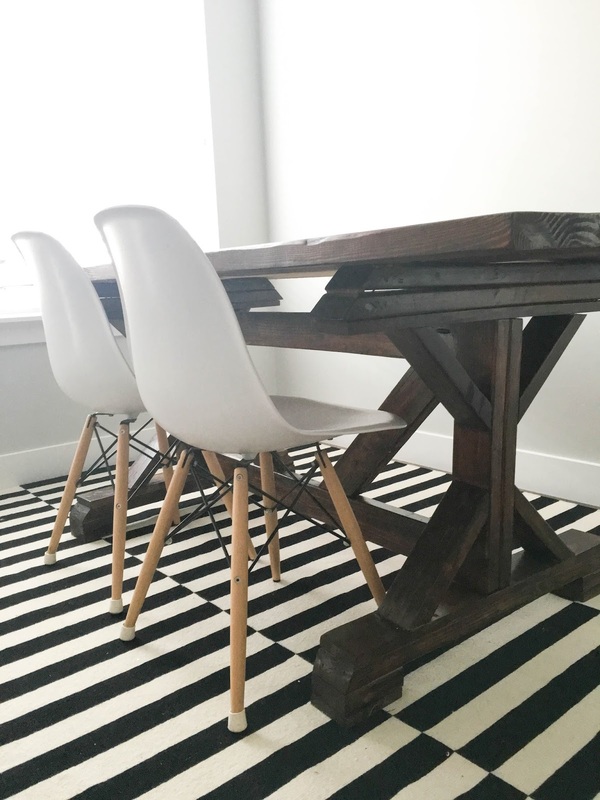 I have absolutely loved having this table in our dining room and it has so much character. We don't have much up on the walls yet, and I promise we have 4 chairs...just for photo purposes I took the other 2 out. 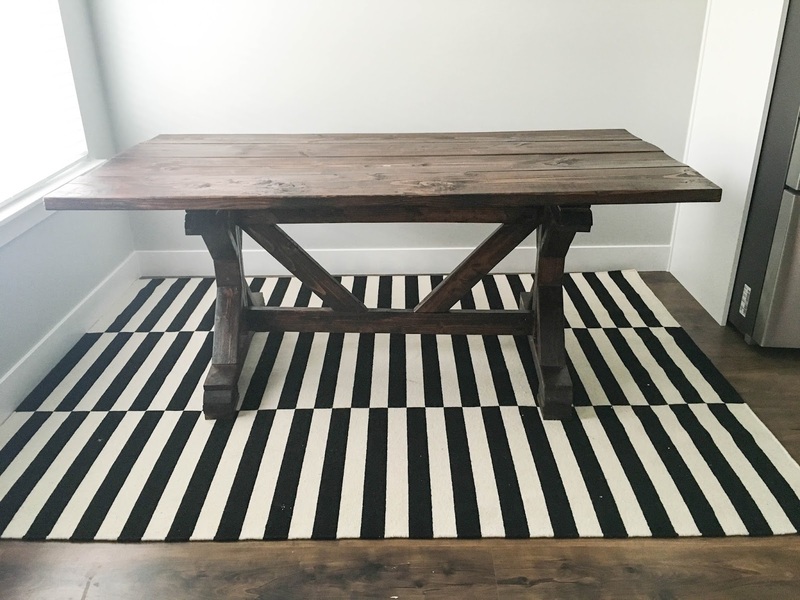 I would highly recommend Desert Wood Works if you are looking for a table or other wood inquiries. 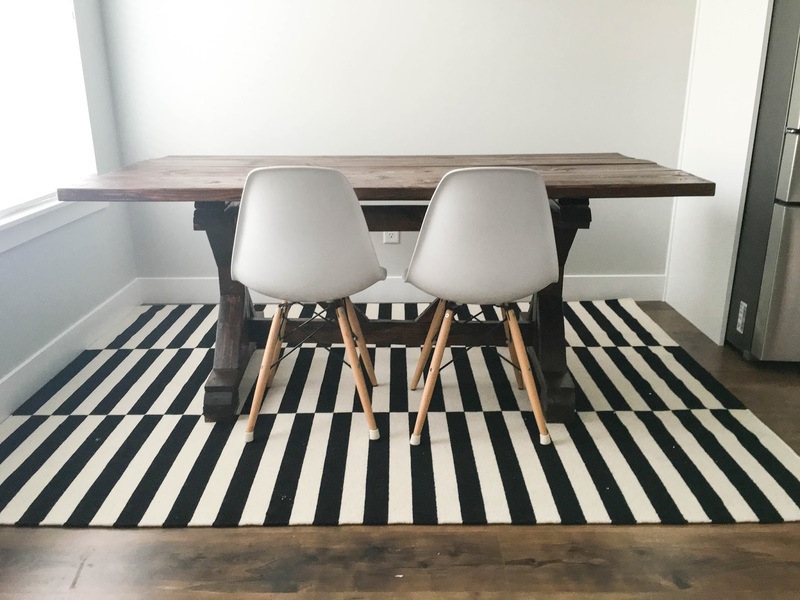 They don't only make tables!